So until July I only ever used foundation, concealer and powder on my face. No blusher, no bronzer, no highlight. It’s crazy looking back at that time, as now I couldn’t go without a bit more product on my face. Recently I’ve been getting into bronzing and contouring my face, helping to give my face a bit more depth and highlight my cheekbones. So what are my favourite products for doing so? Well first lets start with the Sleek Contour kit in ‘light’. I bought this a couple of months back after hearing about this product repeatedly around the beauty community. I’m super pale so I went with the ‘light’ shade, however I think there really needs to be a lighter shade as this still looks really dark on me. I know a lot of people aren’t very keen on the highlighter shade, but I’ve found it to work quite well with my skin. Next is my new favourite bronzer, Bourjois Delice De Poudre, also known as the ‘chocolate bronzer’. I bought this last week in shade 52, and I’m so glad I did. 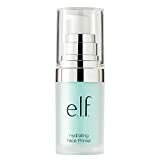 I’ve been using it non stop as I find it shows up nicely on my skin without being too dark, like the Sleek Contour Kit. Last is one of my old time favourites, the Collection 2000 Bronzer in ‘sun-kissed’. This is one my trusty bronzers, and in fact I’ve had this one for ages and haven’t hit pan at all. This is a much loved bronzer, but I do find that it leaves a bit of a shimmer, so maybe not very practical for everyday use. My favourite tool for bronzing is the E.L.F. Blushing, Bronzing and Blending Brush. The shape of this brush makes it easy to apply bronzer when doing that sucky-in-fishy-face. So are you into bronzing and contouring? Give me some of your recommendations!